The screening quality assurance service (SQAS) is responsible for assuring the quality of all NHS screening programmes. An important aspect of this role is to ensuring that learning from screening incidents is shared among all local screening providers. 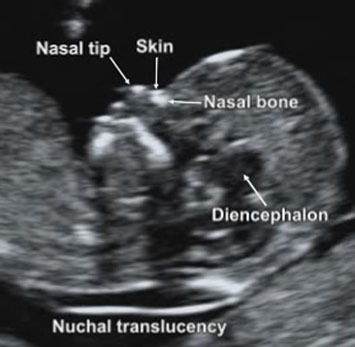 A recent example concerned the guidance for referring women into the second trimester screening pathway if it is not possible to obtain the nuchal translucency (NT) measurement after two attempts. As many practitioners know, factors such as a retroverted uterus or fetal positioning can make an accurate NT measurement unobtainable. If it is not possible to obtain the nuchal translucency (NT) measurement at the first appointment, at least one other attempt should be offered. This may be on the same day or at a later date. If it is not possible to obtain an accurate NT measurement despite ‘twice on the couch’ then further attempts do not have to be offered and the woman should be referred into the second trimester screening pathway. Sometimes, even after this second attempt on the couch, it is not possible to accurately measure the NT. When this happens, further attempts do not have to be offered and the woman should be referred into the second trimester screening pathway. The optimum time for the second trimester test is around 16 weeks, but it can be taken between 14 weeks plus 2 days and 20 weeks plus zero days in pregnancy. SQAS was recently alerted to a potential gap in the screening pathway after women accept the offer of a second trimester test after two failed NT attempts. Screening safety incidents highlight the need for providers to strengthen the pathway to identify and track these women accurately. To reduce this risk, providers need clear protocols for such cases to minimise potential risks and ensure women enter the second trimester screening programme. Education is of paramount importance for these women. Providers should therefore refer to the FASP guidance documents on GOV.UK to ensure such women receive all necessary information when leaving the scan room, preferably following face-to-face contact with their midwife, including confirmation of why they are being offered a second trimester screen. They may also want to refer to the cross-programme Managing safety incidents in NHS screening programmes guidance and Screening Incident Management Resource. What's new in the fetal anomaly screening programme?